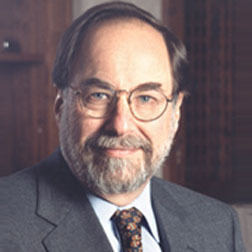 American virologist David Baltimore won the Nobel Prize for Medicine in 1975, for work done five years earlier with his wife, virologist Alice Huang. They discovered reverse transcriptase, a deoxyribonucleic acid (DNA) polymerase enzyme that transcribes single-stranded ribonucleic acid (RNA) into double-stranded DNA. Also known as RNA-dependent DNA polymerase, their discovery showed that the DNA's genetic information, which ordinarily travels from DNA to RNA, can also travel in the other direction, allowing viruses to replicate the RNA into the DNA of otherwise healthy calls, which can cause some forms of cancer. In 1981, working with Vincent Racaniello, Baltimore generated a plasmid encoding the polio virus genome, using recombinant DNA technology. His reputation was somewhat but unfairly tarnished in 1989, when immunologist Thereza Imanishi-Kari was alleged to have falsified data in a 1986 paper, co-authored by Baltimore, which had yielded unexpected results which another scientist was unable to replicate. The claims of dishonesty against Imanishi-Kari and, by association, Baltimore, were aired prominently in the American media and became fodder in Congress for politicians who oppose funding scientific research. Baltimore and Imanishi-Kari withdrew the paper they had written together, Baltimore resigned as President of Rockefeller University, and the government's Office of Research Integrity concluded in 1991 that Imanishi-Kari had falsified data. In 1996, however, an appeals board at the Department of Health and Human Services re-opened the matter, found no credible grounds to prove any wrongdoing, and concluded that the Office of Research Integrity had bungled its initial investigation.